Project Financing through an Initial Security Token Offering (STO) of GOLDUSA and SILVERUSA Gold & Silver Security Tokens. Canamex Gold Corp. has announced financing for the advancement of its 100% owned Bruner Gold and Silver project, located in Nevada USA. The Company has launched non-brokered private placements to accredited investors, of GOLDUSA and SILVERUSA Ethereum ERC20 Tokens via a Security Token Offering (“STO”). SILVERUSA (ticker SILV) is 1st Silver asset backed digital currency issued by a Public Listed company Compliant with Securities Regulation in the World. SILVERUSA is issued by Canadian Securities Exchange listed company Canamex Gold Corp. that has put in place an alliance of Stock Exchange Listed Silver producers. You may contact Canamex Gold Corp. CEO David Vincent directly on +971544551281 or email david.vincent@canamexgold.com for info on how and when SILVERUSA will be tradeable according to Canadian Securities Regulation. THE MERKLE: What are stablecoins such as Tether, Maker, and GOLDUSA ? While Tether is likely the best-known stablecoin, it’s certainly not the strongest initiative. Canamex Gold Corp. recently launched a gold stablecoin. The tokens, coined GOLDUSA, are worth 0.005 ounces of gold each. Cobalt Eco Friendly Asset Backed Token may launch in 2018 ! Secova Metals is the 5th North American Stock Exchange LISTED company to be Awarded a Global Exclusive Licence for Harmonychain Intellectual Property Rights and Patents Pending. Secova is Awarded a Global Exclusive Licence within the Cobalt Commodity Sector. Stay tuned for more info on their website. Very exciting news to finally see a Stock Exchange LISTED company actually launching Asset Backed Digital Currency. 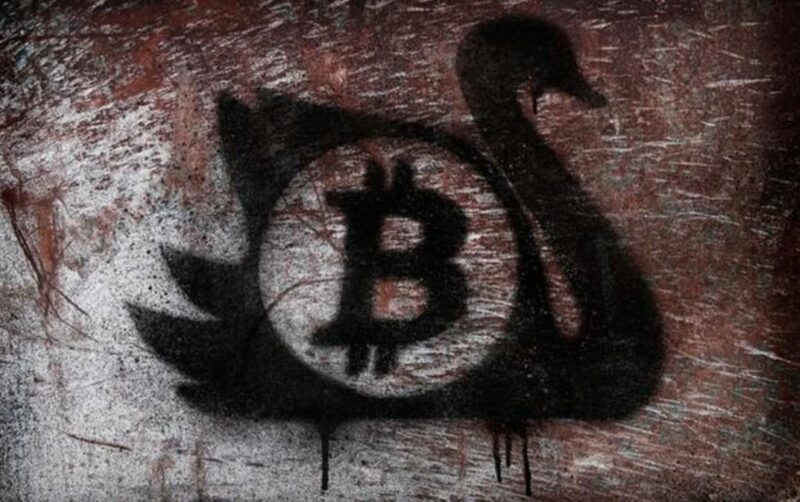 China: PBoC Head Says Digital Currency ‘Inevitable’, Bitcoin ‘Not Accepted’ As Payment. Maybe one of Harmonychain Client’s Commodity Asset Backed Digital Currencies will be the future of money. Harmonychain partner vs. Nation of Venezuela: Who do you trust most ? Crisis struck Venzuelas latest stunt was to issue the Government Digital Oil Currency Petro. (Currently Venezuela government bonds maturing this autumn 2018 trade at under 40% of nominal value documenting lacking investor trust level). Harmonychain is in dialogue with some Oil Supermajors that are interested in Premium Prices over Spot and Interest Free Finance, to see if the Blockchain Pat. Pend and IPR of Harmonychain can increase profits of more solvent issuers than Venezuela such as Saudi Aramco as an alternative to their IPO plans. Journalist Sindre Hopland. Canadian Royal Mint former Legal Counsel joins Canamex Gold Board of Directors. Canadian Mint is owned by the Canadian Government. The cumulative net amount om money invested has totaled around $6bn since 2009, well below the current market cap of $400bn. Bloomberg reports that Blockchain technology, which has already been adopted by gold traders, is starting to show the potential to transform other sectors of the global physical commodities markets. Canamex Gold now has six Ethereum token domain names secured. Harmonychain in Norwegian press Finansavisen. CEO Bjorn Zachrisson forklarer essensen i Blockchain, hvordan den patentsøkte futuren vil forandre det globale futuresmarkedet, og hvordan revisjonsbransjen ser at transparent blockchain reduserer fremtidig behov for revisjon og derfor bygger opp nye blockchainavdelinger for å skape nye inntektsområder som kan kompensere for inntektsbortfallet den 3. november og 6. november. Du kan kjøpe disse papirutgavene på nett for kun kr 40 ved å følge linken over. It will be easy to pay with Digital Currencies in the next browsers from these companies. Click the link above for more details. Other members joining the roster, announced yesterday, include HSBC Holdings, State Street Corp., Mitsubishi UFJ Financial Group, and the Canadian Imperial Bank of Commerce. This is simply put a technological revolution. 9 out of 10 government organizations have suggested that they will be using blockchain technology by the year 2018. The blockchain will change society the next 20 years as much as the internet has in the last 20 years. They are perfectly suited for the way Millennials shop, according to article on Yahoo Finance. The illusion of banks being safe should have been shattered after the 2008 crisis. Visa pays hefty bonuses to shops eliminating cash. In the future, the Blockchain will be a game changer. are staffing up for Blockchain. In New York City micro Solar Electricity producers are allready using the Blockchain. And competitor Telegram raised over US$ 1 billion during the spring of 2018. At Nasdaq, the future will likely include digital currencies. The chairman of Australia’s biggest stock exchange is bullish about blockchain technology replacing its existing post-trade settlement solution. ASX has invested over AUD$15 million for sub 10% equity stake in New York-based blockchain startup Digital Asset. Banks are allways talking their own book. Banks are afraid of competition. Banks know banks are expensive and pose systemic risk as banks sometimes banktrupt to the dismay of depositors and transfer customers. Cointelegraph reports that the world’s largest investment company BlackRock has continued its bullish forecast for cryptocurrency, saying it sees “wider use” in the future in its weekly commentary report recently. “Our bottom line: We see cryptocurrencies potentially becoming more widely used in the future as the markets mature,” the report determined. Bloomberg reports that Yale University, the Ivy League school, is getting into the market for cryptocurrencies.